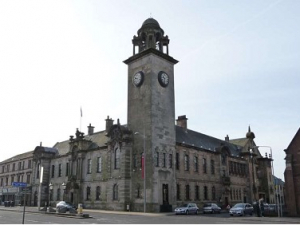 Clydebank Town Hall acts as the cornerstone of the local community serving a public function as a place of assembly and also houses the Museum and Court Service. Alterations and upgrade to the Category ‘B’ Listed Town Hall include improved circulation, enhancement to the main lesser halls, changes of use to the pool hall to form an extension to the Town Hall with a link gallery introduced. Sensitive replacement of M&E services with minimal disruption to retained features.